You filled out the application and waited anxiously to hear back with a decision from the school of your dreams. When you finally received that acceptance letter, your heart filled with joy. The next four years will be the time of your life! The college experience is a time of independence and freedom. There are still some decisions to be made. Will you take your car to school with you? If so, how will you get it there? You might think that driving is the best option. However, there is a much safer, faster, and affordable solution. Ship your car to its destination using a reliable nationwide car shipping company, National Dispatch. If you are on the fence about taking your car to school with you, let us assist you in making a decision. We have provided some pros and cons of having a vehicle on campus. Here are a few pros associated with having a car on campus. Convenience. Rather than walking everywhere or paying for expensive taxi fares or Uber fees, you can drive wherever you need to go. Having a car on campus can come in handy when you need to grab something in a hurry for a project. You do not have to waste time waiting for a cab or public transportation. Independence. You can drive anywhere on your own time schedule. You do not have to ask your friends for rides and wait around until they are available. Explore. Most likely, you will be living in a new city and state for the next four years. One of the best parts about college, besides getting a top-notch education, is the opportunity to explore. If you have your own car, you can check out the new city whenever you feel like it. Try new restaurants around town, and visit local attractions when you are not studying. Here are a few cons associated with having a car on campus. Gas bills. Although having a car allows for freedom to come and go as you please, it comes at a price. If you want to go anywhere, you will have to fuel up. You will most likely need to get a part-time job, either on campus or at a local business. Parking costs. You will need to purchase a parking pass to park on campus. Otherwise, you will be accumulating quite a few parking tickets by campus police. Having a car on campus is not a necessity. It just makes life easier, since you will be moving to a new city to start a new chapter in your life. August is only a few months away. Soon, it will be time to begin your Freshman year of college. Starting college is exciting, but it can also be stressful. You will be leaving friends and family behind. Make the move to college easier on yourself by shipping your car. More cost-efficient. A road trip may sound like fun, but in reality, it can be hard on the wallet. A number of expenses are involved in driving to college. This would include the costs of gas and food. If the school is more than just a few hours away, then you will want to stop to rest at a hotel for the night. In addition, if you do not own the most fuel-efficient vehicle, then you will making frequent stops at the gas station to top off the tank. Shipping your car is not as expensive as you may think. A safer option. By investing in an auto transport company to ship your car, you will not face the risks of the road. 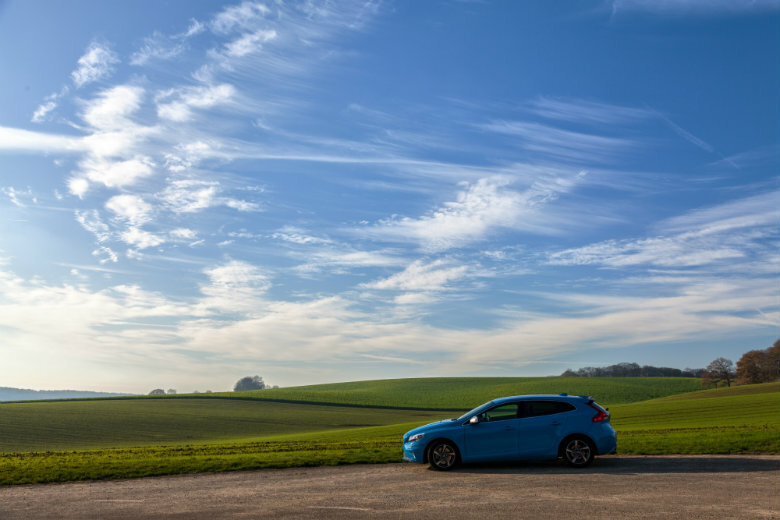 You do not have to dread the long distance drive. Plus, you do not have to worry about traffic or getting into accidents. You will be filled with excitement, so you will be eager to get to the university as fast as you can. Not stopping to get proper rest leaves you tired. This makes for a dangerous driving situation. Easier than the alternative. At National Dispatch, we provide door-to-door shipping. This means that the driver will pick up the car from your home, as long as conditions allow. During the transport process, you can fly to your destination. Then, you will be there when your car is delivered. What could be more simple? No driving across the country alone, or waiting in long lines of traffic. All the headaches are taken out of the auto transport process. A faster solution. It could take you several hours, or even a few days, to drive to your school depending on its location. Flying is a faster form of transportation. If you choose to fly and ship your car, this clears up time in your schedule to do more important things. You have extra time to spend with your family before you leave. In addition, you will have plenty of time to get all your belongings together for college. Keeps your car in great shape. You want to take care of your car, because it has to last you the next four years. Driving a long distance to school adds mileage to your vehicle. This means that it puts unnecessary wear and tear on your vehicle. Not many college kids have brand new cars, so keeping down the mileage is key. Ship your car to school, so that you have a reliable form of transportation to drive around campus. Before you know it, Fall will be here. 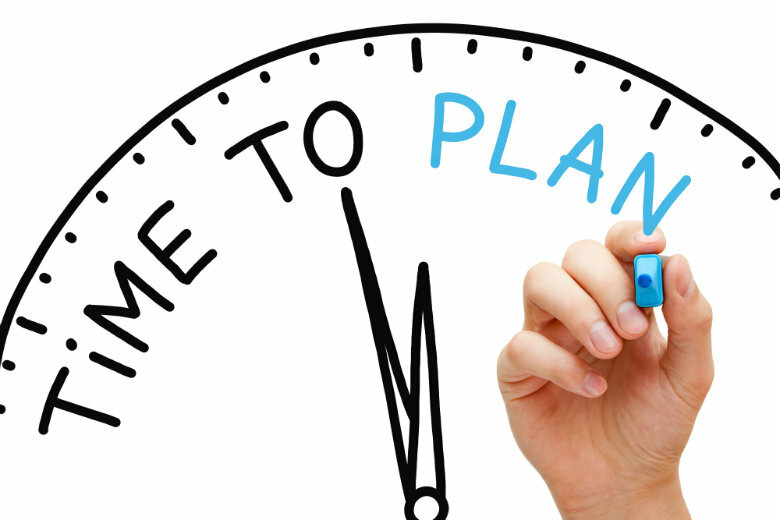 It is time to start planning for auto transport. Therefore, learn everything you can about the process now so that you are informed when the time comes. National Dispatch is a leading provider in the car shipping industry. We transport a variety of vehicles to customers all across the country. We pride ourselves in shipping cars in a fast and safe manner. Our drivers are knowledgeable and experienced to handle whatever situation comes their way. Planning your vehicle shipment starts with a free car shipping quote on our website at www.nationaldispatch.com. It is a completely hassle-free and no obligation quote with no personal information required. All you have to do is fill out four simple fields. Door-to-Door Shipping: This service offers you convenience by having the driver come directly to your location, as long as conditions permit. If the driver cannot meet you at your door, then he will meet you at the closest retail parking lot. This certainly beats the alternatives. No guesswork is involved in the shipping process, because you will remain informed every step of the way. Enclosed Auto Transport: This method of transport is not used as frequently as Open Auto Transport. In comparison, enclosed is more expensive, because the car receives a higher level of protection. The vehicle is not exposed to weather, environmental elements, or road hazards. In addition, a hydraulic lift system may be utilized to load and unload the car. Owners of luxury, classic, and exotic vehicles tend to choose this service. However, this option is available to any of our customers regardless of the type of car you own. Guaranteed Shipping: Here, at National Dispatch, we offer three levels of shipping to meet your time schedule. Guaranteed shipping may cost more compared to our other shipping options. However, it is a small price to pay for the added convenience. This shipping option is best used when you are transporting last minute and need your car at its destination as soon as possible. Moving to college is a big life step, but packing can be hard. It is difficult to know what you will need and what you will actually use. This is why overpacking is a regular occurrence. We have created a list of some of the essential items to pack. Rain gear: You can expect that at some point it is going to rain. It is best to be prepared. Pack typical rain gear to have just in case. This would include: umbrella, rain boots, rain jacket, etc. Business casual clothing: Business casual attire is great for class presentations, job fairs, and interviews. Young women should pack casual sweaters, blouses, jackets, skirts, and dresses that are appropriate for these occasions. While young men should pack dress shirts, khakis, dress pants, and jackets to wear. Cold gear: You will be at your school to see the changing of the seasons. It is a good idea to pack winter items, if you are going to college in an area that might see snow. Be sure to pack up your gloves or mittens, scarf, and hat. Mattress pad: Dorm beds are not the most comfortable to sleep on. After pulling an all nighter in the library, you will want to come back to a soft and comfy bed. Invest in an inexpensive egg crate mattress pad, or upgrade to a memory foam one. Organizers: Get used to the idea of sharing your space with another person. Due to this fact, you will want to make the most out the space you do have. Staying organized is important. You can do this by purchasing drawer, jewelry, desk, and closet organizers. To save on space and time, you do not want to take everything in your room. We have gathered a few tips to help assist you in your move to college. 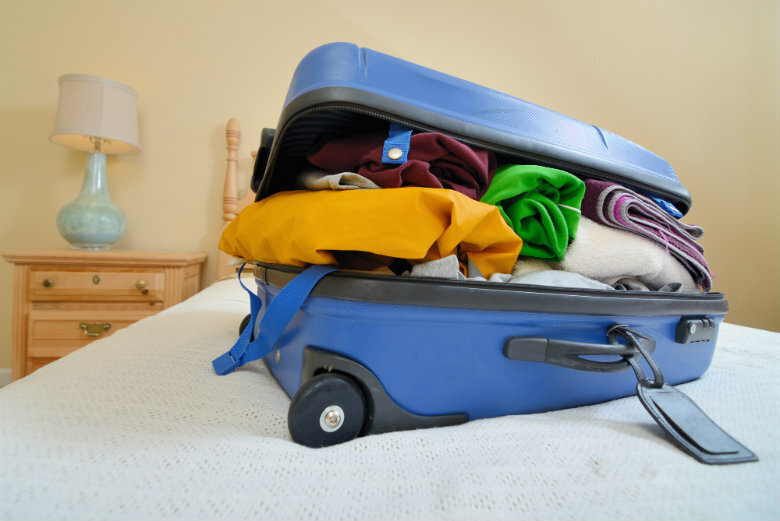 Hopefully, this list will help you decide what to pack now and what you can hold off on until a later time. Avoid taking large furniture. Most universities provide the basics, which are a bed, dresser, and desk. If you have a shared living room or common area, then buy small chairs or beanbags to decorate the space. Theses items are easy to move around. If you want to purchase a couch, consider shopping for one after you arrive. Bring only the essentials. Take only what you need. Dorm rooms are not the most spacious. Plus, you will be sharing half the area with another person. If you forget an item of importance at home, you can always drive to the store and pick another one up or have your parents mail it to you. Communicate with your future roommate. Plan all large items with your roommate. This would include items, such as televisions, ironing boards, mini fridges, and microwaves. Small kitchen appliances are nice for storing snacks and heating up meals between classes. However, you do not need two of each taking up space. Label your boxes. After packing up your items into boxes, label with your last name and room number. This will safeguard your items from becoming lost or misplaced. Buy once you arrive. Cut down on packing by purchasing items once you arrive. It is recommended to wait on buying school supplies and food until you get to your destination. This makes it easier on you. Consider how you will get around. Having a car is great for running errands when you need to. However, when you live on campus, investing in a bike or skateboard is beneficial for getting to and from class. It beats walking or waiting for the bus. Contact our knowledgeable and experienced staff at National Dispatch. We are more than happy to assist you in deciding on the best auto transport options to fit your specific needs. We will schedule your car to arrive exactly when you need it, so that you can start college off the right way. For a free, instant car shipping quote, remember to go to our website and use our online quote calculator. Feel free to contact us via phone at 800-321-2051 to discuss any and all auto transport questions. We wish you the very best as you take this next step in your life!